Lower Back problems can be extremely painful, and interfere with most aspects of your daily life, from simple things like turning over in bed, bending over to dress yourself, sitting at your computer or couch, to more stressful physical activities like exercising. This article will help you understand what may have caused the pain, how to diagnose the problem, as well as your treatment options and how to get lower back pain relief. There are the obvious traumatic causes of lower back pain like motor vehicle accidents and falls which cause a violent movement that often bends your spine into an abnormal position. This spinal trauma creates spinal joint inflammation and muscle spasm, and sometimes intervertebral disc compression can lead to a bulging disc (slipped disc) which gives you neurological symptoms like pain, burning, numbness or weakness down the legs/feet. This type of traumatic injury might only cause pain in your lower back, but when your symptoms radiate down your legs/feet as well, Sciatica is the term which describes this type of pinched nerve injury, and is one of the main conditions treated by a Chiropractor. Sitting: Adults have never been more sedentary in any part of human history than we are now. Most people sit behind a computer all day and/or sit in a car for many hours to fetch kids, driving to meetings etc. We eat all our meals seated, and tend to sit on the couch or bed in the evening to read or watch TV. 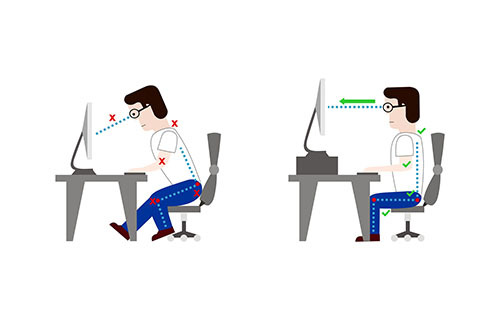 Sitting tilts your pelvis backward (posteriorly) which flattens out the normal lumbar spinal curvature, diminishing the lower back’s ability to bear weight. This is completley unnatural for our spine and pelvis and therefore there is some truth to the saying: “Sitting Is The New Smoking”. Rigorous exercise: Poorly performed exercises (bad form), excessive amount of resistance/weight being used, or prolonged exercise duration can push your body past its natural limits, causing lumbar spinal or pelvic tissues to fail and become painful. 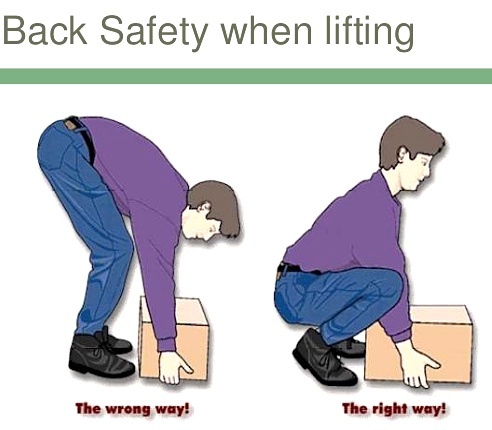 Poor Bending Technique: Forward bending (flexion) of your lower back (lumbar spine) is always a bad idea. Whether it be to lift a heavy weight, or no weight at all like when dressing yourself or picking up kids toys off the floor, dirty washing etc. When these movements are performed in this way, you are literally bending your spine in the opposite direction to how the lumbar (lower back) portion of your spine is naturally bent. Besides being detrimental for you lumbar intervetrebral discs, over time, the spine can lose its natural curved shape, a condition know as Loss of the Lumbar Lordosis (Curvature). There is a common misconception that every ache or pain in the body is muscular in origin. This couldn’t be further from the truth. The soft tissues could definitley be involved in your problem (muscles, tendons or ligaments), but there are other tissues in the lower back which could easily be the source of your pain, like the lumbar spinal joints, sacroiliac (pelvic) joints, intevertebral discs and spinal/pelvic nerves. As a general rule of thumb, soft tissue problems in the lower back cause short term pain, hours to days. When a problem has been going on for weeks, months or years it’s generaly spinal or pelvic in origin. Quite simply, muscles don’t usually cause pain for prolonged periods of time, but spinal and pelvic problems nearly always do. Muscular lower back problems don’t directly cause internal lumbar spinal or pelvic problems, but if you have a spinal or pelvic problem you will almost certainly have an associalted muscle spasm, your body’s natural muscular response to the lower back condition. When lower back pain has been around for weeks or longer, be sure to to shift your focus away from the muscles and get your spine and/or pelvis assessed by a Chiropractor or Neurosurgeon, the spinal focussed practitioners. A Thorough Patient History: having an in depth discussion with a health care practitioner is the first step in understanding which lower back tissues are involved in your problem. As mentioned in the “causes” section above, there are many potential tissues involved in lower back pain, but based on a simple conversation, your practitioner can already get an idea of the problem based on how the pain started, how long you’ve had the pain, the type of pain sensation you are feeling, and any associated problems like abdominal or groin pain, and neurological symptoms down your legs/feet. A Physical Examination: your lower back is a moving structure and specific movement / orthopedic tests need to be performed in order to see how the different tissues function under movement stress. Discomfort during certain tests helps the practitioner understand which tissues are injured, either the soft tissues or the spinal/pelvic structures. 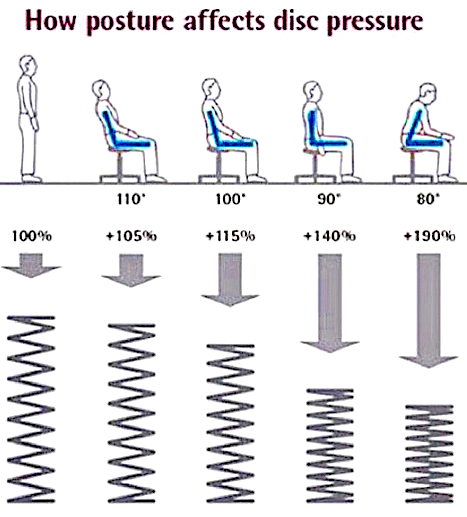 Muscle spasm / knots / triggerpoints can be felt with the practitioners hands, and joint stiffness and inflammation can be elicited through lumbar and pelvic (joint) tests. The treatment you receive for your lower back pain should be 100% dependant on the diagnosis that was made. There are many treatments worldwide for lower back pain, but the procedures mentioned below are the most used, have the highest success rate, and are backed by the most science. Exercise: strengthening the soft tissues around the problem area helps provide a layer of protection from future bouts of similar lower back pain. Lumbar Facet Joint and Sacroiliac Joint Mobilization: gently moving your spinal and pelvic joints through their natural range of motion, in order to restore the normal fuction and motion to the problematic joints. Lumbar Traction: helps reduce pressure on any bulging intervertebral discs, which in turn reduces pressure on your nerves. This reduces the symptoms down the legs/feet from a pinched nerve in the lower back. Lumbar / Pelvic Manipulation:(see Manipulation video) most effective way to restore misaligned vertebral and pelvic bones back to their normal position, and restores the movement back to a “seized up” / tight / stiff joint that has lost its ability to move naturally. Lumbar Curvature Restoration: a specialized home based exercise and stretching protocol to reduce lower back pain, and restore the normal spinal curvature (lordosis). 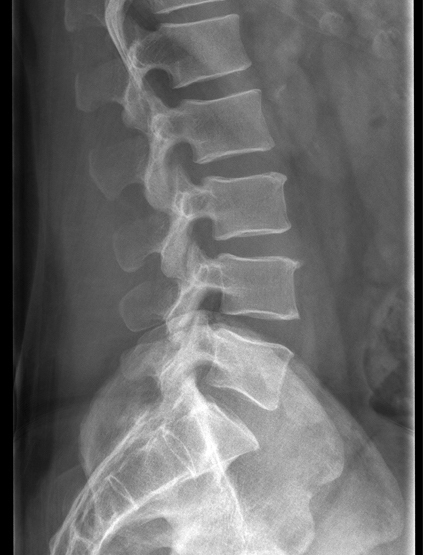 As mentioned in the diagnosis section above, due to the nature of spinal conditions almost always causing soft tissue spasm around the problem area, spinal focussed practitioners will often perform one or more of the above mentioned soft tissue procedures in conjunction with the lumbar spinal or pelvic treatment. However, if the spinal problem is successfully treated, the body would have no need to hold those surrounding muscles in spasm, and the soft tissues will almost always settle down on their own, without any direct treatment.